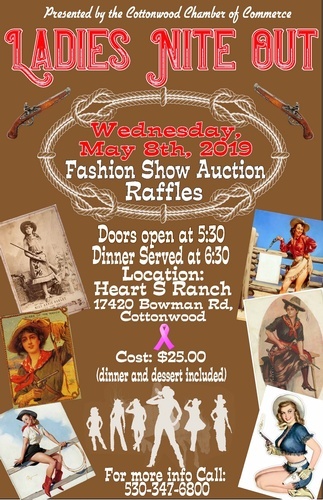 Kick off Rodeo Week at Cottonwood Chamber's Ladies Nite Out. Dinner, Drinks, Music, and a few special secrets!!! Great Time! Tickets sell out. Watch for ticket release. You don't wanna miss this one. MORE INFO TO FOLLOW CLOSER TO EVENT DATE!